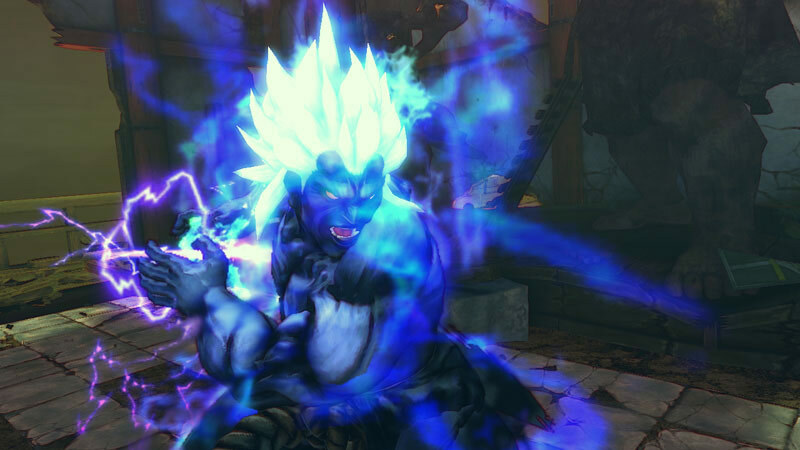 Oni Akuma appears to be a super-powered version of Akuma. 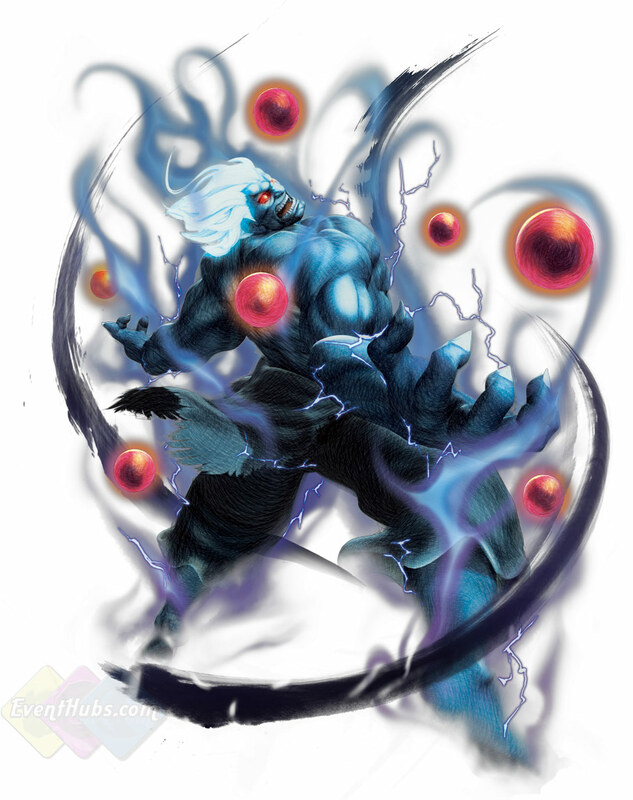 His full official name is Kuruoshiki Oni which means "Mad Demon". 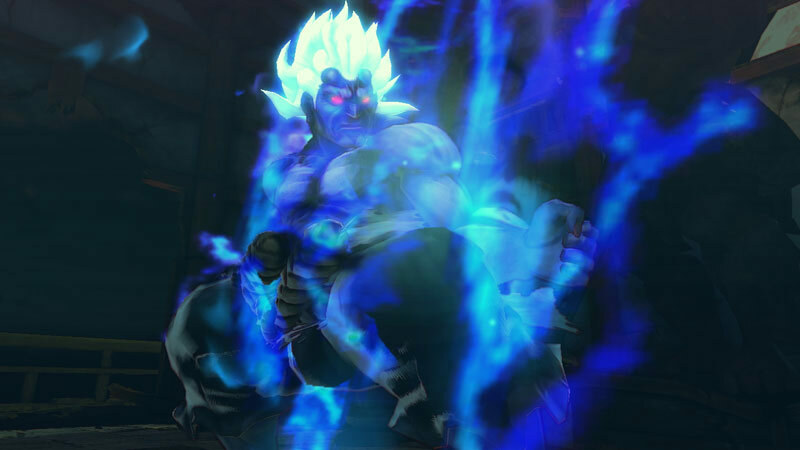 Due to his training and meditation, Akuma may have suppressed some of the darker aspects of the Satsui no Hado, allowing him to control his actions. 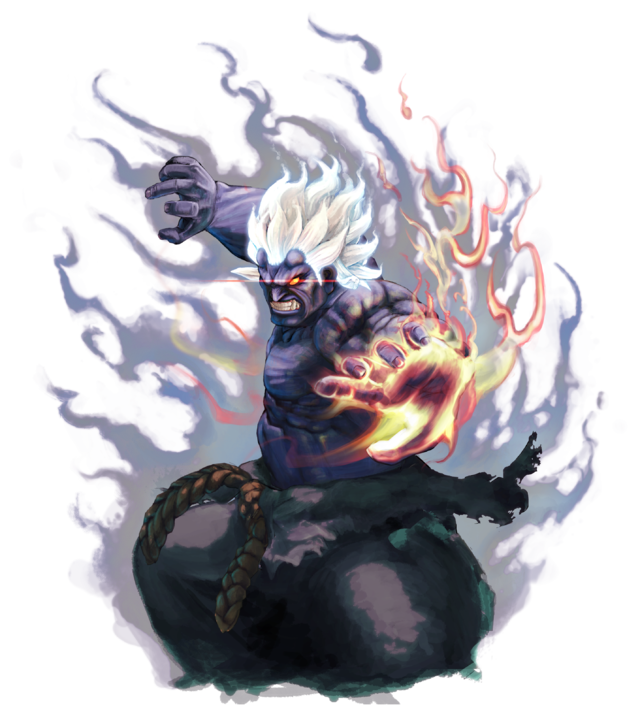 As Oni, when he finally becomes one with the Satsui no Hado, its power has now managed to completely overtake him. 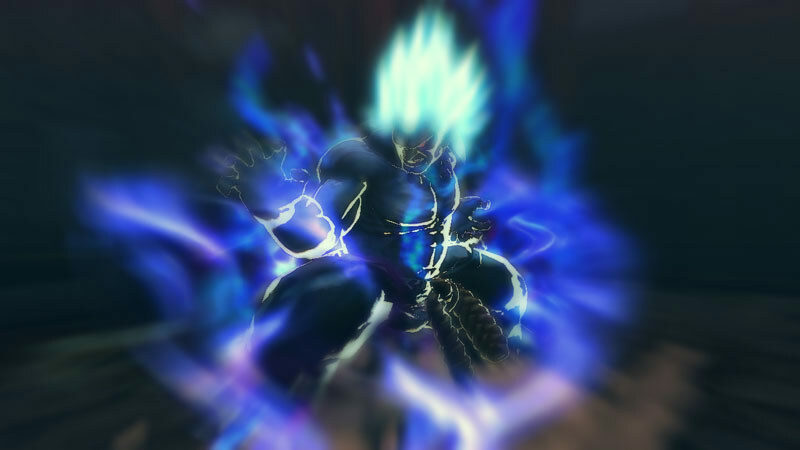 "Super Saiyan Level 5" Akuma? ... Interesting, yet slightly ridiculous and a bit too much if you ask me. 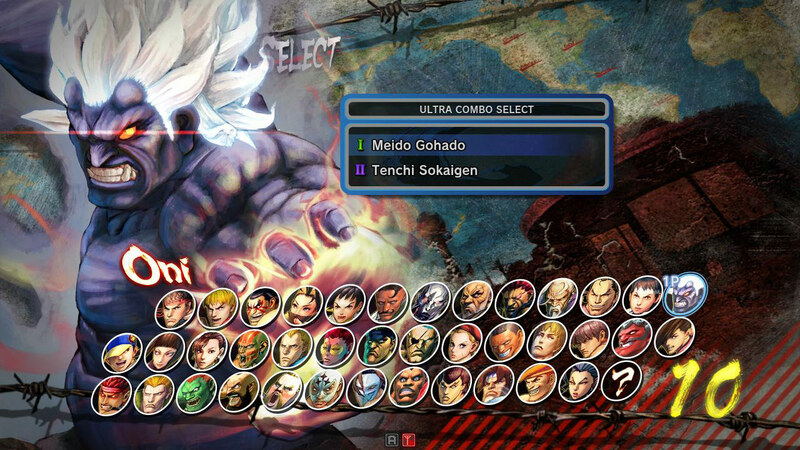 I've been an Akuma fan since 1994 (SSF2T), and I just don't see the point in this design / redesign. 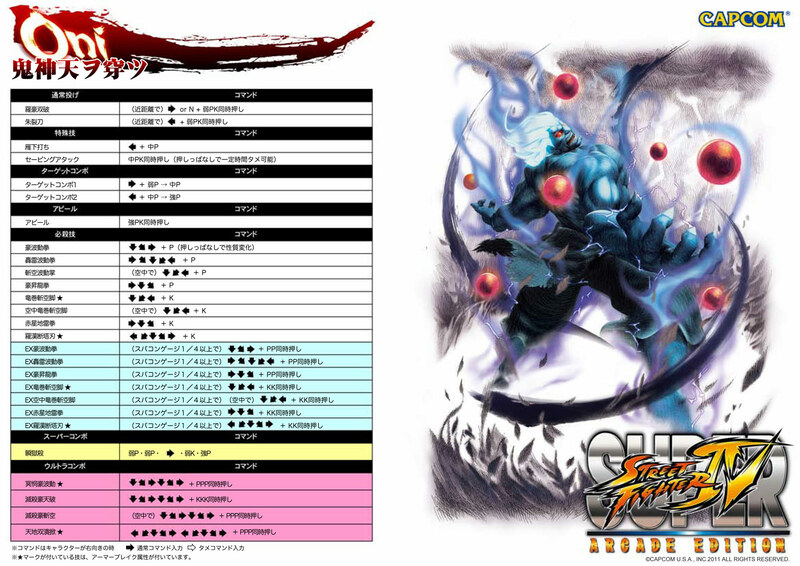 I love Akuma, I even like Shin Akuma.... but really Capcom designers? 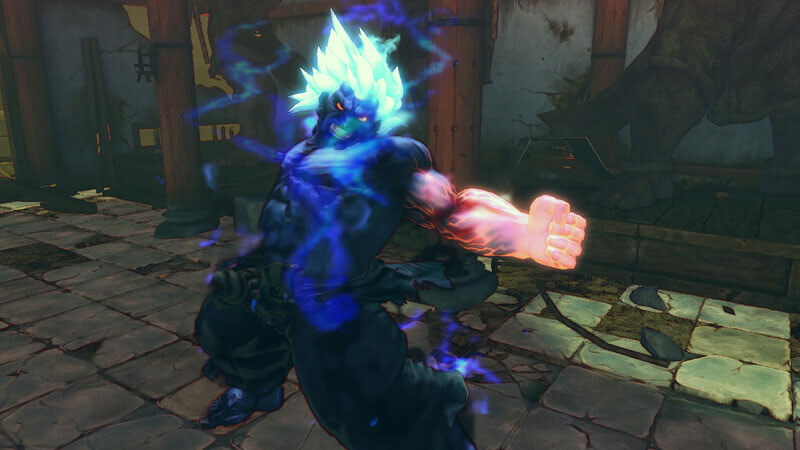 You saw the need for another version of Akuma, and yet another "shoto style" character in SF4 series? 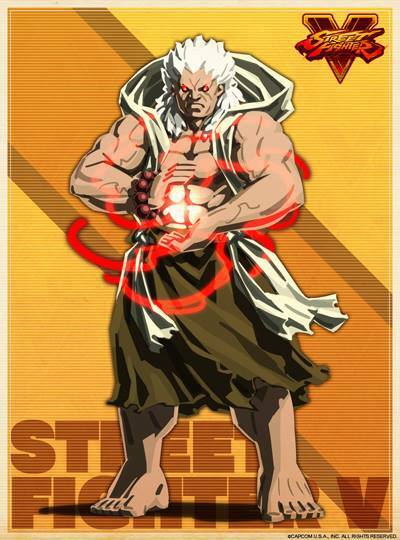 (instead of bringing back a fan-favorite character from SFA or SF3?) *sigh* ...I miss 90's Capcom. 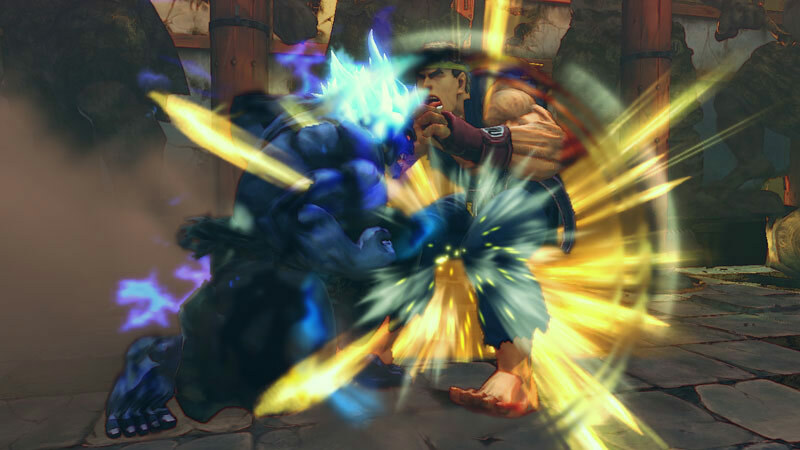 In fairness, Oni has a decently cool moveset and some satisfying animations. 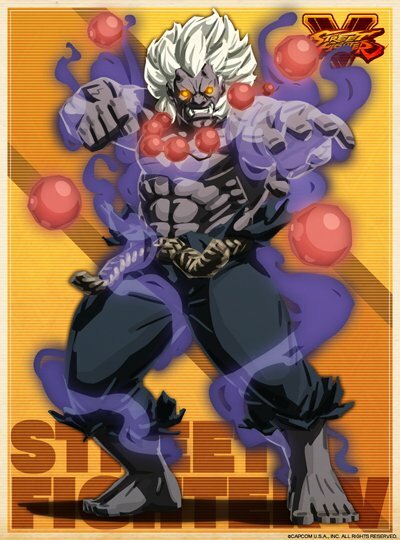 But since he was one of the "headlining" new characters of Arcade Edition, I think Oni came up a bit short and underwhelming. 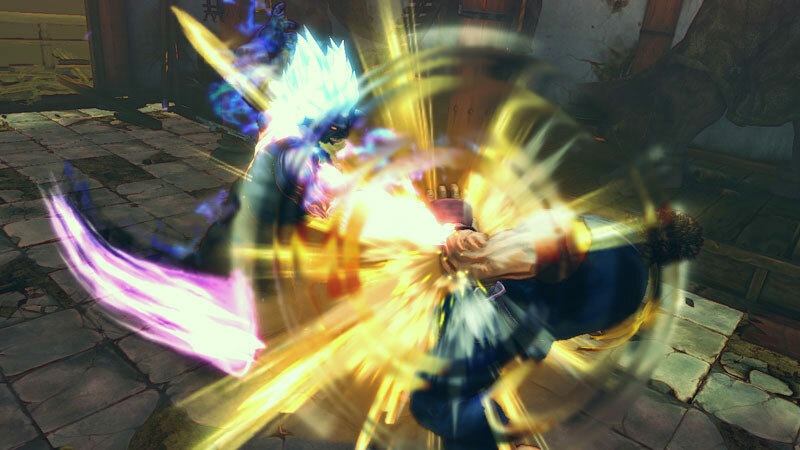 However, I will admit his appearance in Asura's Wrath was pretty badass. Ironically enough, he actually fits more into that game (but we're not judging his appearance in that game, now are we).